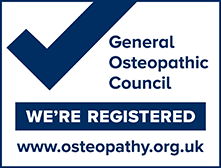 James and Amy are fully registered with the General Osteopathic Council. This means that they meet the high standards of training and education needed, and that they consistently fulfil their Continuing Professional Development requirements such as regularily attending lectures and seminars to keep up to date with recent developments. James qualified with distinction from the British School of Osteopathy in 2004. James also studied under John Wernham when completing the Diploma in Classical Osteopathy during his final year at the BSO. Alongside working at Clevedon Osteopathic Practice James also spends two days consulting at Warminster Osteopathic Clinic in Wiltshire. In the years since graduating James has built up a vast amount of experience with patients of all ages with wide ranging problems. Aside from general practice he has a keen interest in foot and gait problems and is able to fit a variety of insoles or foot orthotic devices if needed. Having played Rugby Union to a high level James has a detailed understanding of sports injuries and various rehabilitation approaches to suit all levels of participation. Prior to training as an Osteopath James gained a degree in Human Biology from Leeds Metropolitan University in the late 1990’s which covered allied areas such as neuroscience, sports science, nutrition and psychology. James is married and has two young children, away from work James can be found walking or cycling over the Mendip hills or on his allotment! Amy graduated from the British School of Osteopathy in 2004 and moved to live in the West Country working in Taunton and Honiton. In the years since graduating Amy has continued to expand her knowledge and skills and studied several in-depth courses with the Sutherland Cranial College, the leading cranial Osteopathic education group. She has great experience of treating babies, children and adults using cranial techniques along side standard structural methods. Amy balances her working life with looking after her two young children, and enjoys the challenges that both aspects bring.